With booming infrastructure, new energy conservation projects, and an aging workforce, demand for skilled electricians is on the rise. In fact, the Bureau of Labor Statistics projects that jobs for electrician will increase 14 percent through the year 2024. The Electrician Training course is designed to teach you general and electrical safety procedures, use of common hardware and materials used in an electrical system, how to read and understand building plans, and more. In addition, you will be prepared for electrician licensing tests, generally required by most states and localities. 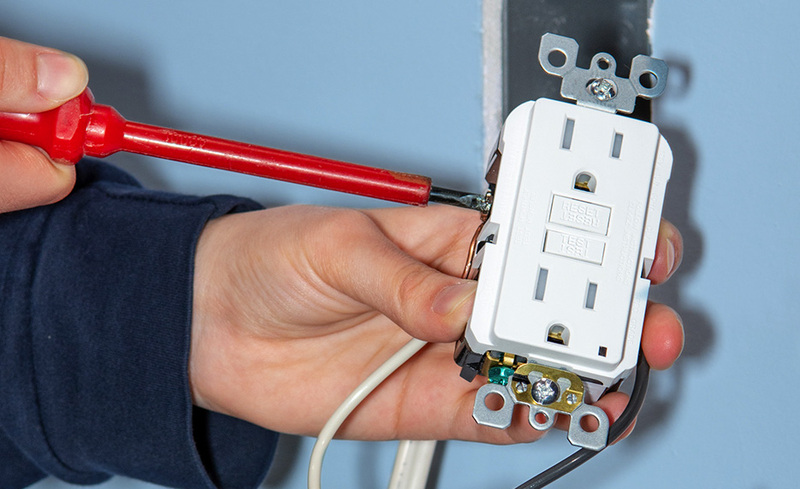 While tests differ, you will need to understand electrical theory, the National Electrical Code®, local electrical codes, and the various types of wiring methods and materials. By course completion, you will be prepared to pass an electrical licensing exam and start your career as an entry-level electrician or electrician apprentice. X. Customer Service: Why Do It? PC: Windows 7 or later operating systems. Software is not included in the cost of enrollment. All software must be installed and fully operational before the course begins. Although it is not absolutely necessary, it is recommended that a person taking this course have some basic knowledge of direct current and alternating current electrical theory. People wanting to become electricians and taking this course should be in good health and have the ability to lift 50 lbs. It also helps to have good agility and manual dexterity. Good color vision is a requirement because electricians often must identify electrical wires by color. It is also important that electricians have good people and communication skills. Greg Fletcher has over 40 years of experience in the electrical field as both a practicing electrician and as an electrical instructor. He has been a licensed electrician since 1976 and currently holds a Master Electrician’s License in the State of Maine. In 1988, he was appointed as the Department Chairman of the Trades and Technology Department and Program Director/Instructor of the Electrical Technology program at Kennebec Valley Community College in Fairfield, Maine. He is the author of several textbooks including Residential Construction Academy: House Wiring, Guide to Using the National Electrical Code, and The Electrician’s Guide to Photovoltaic System Installation. He has an associate’s in Electrical Construction and Maintenance, a Bachelor of Science in Applied Technical Education, and a Master of Science in Industrial Education. After you register, you will receive (12) months to complete the course. The time allotted for completion has been calculated based on the number of course hours.